We were in Hawaii not too long ago but there are aspects of it that we already miss. One of those dear things is the poke. I don't mean poke as in jabbing at someone with a finger. I mean the popular Hawaiian dish called poke (poh-kay) that is a raw "salad" of sorts usually made with ahi tuna. The chunks are tossed in inamona, sea salt, sesame oil, some kind of chile pepper, and soy sauce for starters; variations of it do exist. 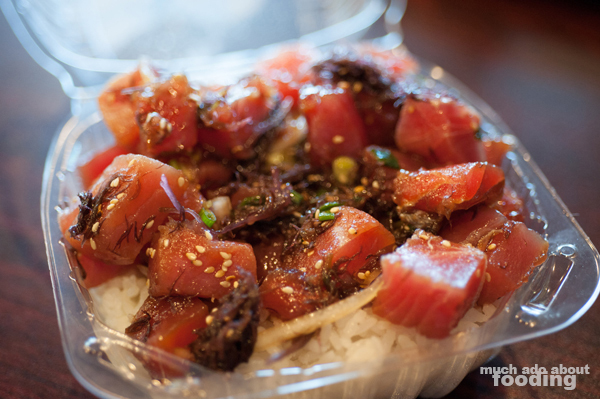 There have been several Hawaiian restaurants gaining notoriety in the Orange County/Los Angeles area lately for their fresh poke. I, for one, need to start seeking these out more. OC Weekly recently covered a spot that I knew I had to visit right away. Poke Etc. just opened in Long Beach as the second location of its company, and the feedback was high in praise. This was enough to pique my interest and justify a trip with some friends over to get ourselves some fresh, authentic Hawaiian poke. It is bare bones inside. When we visited, they still hadn't put up a sign yet for their establishment so if you go anytime soon, look for the Tony's Barbecue sign instead. 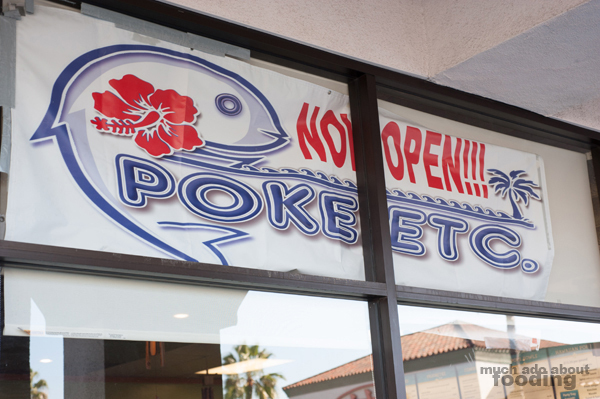 Their Poke Etc vinyl banner is just hanging inside the restaurant facing outward, viewable through the windows. When you walk in, the set-up is very minimal when it comes to tables and chairs. 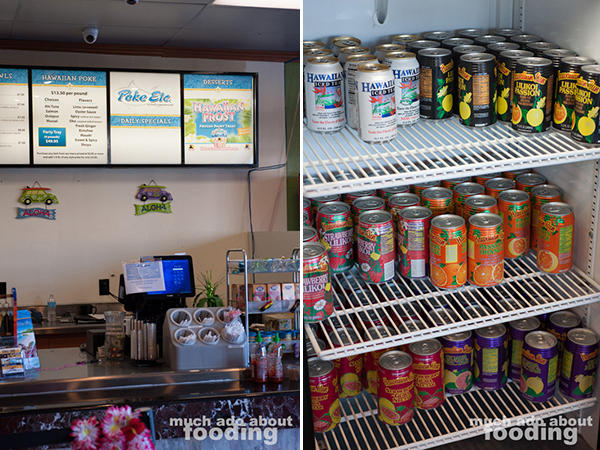 Along one wall is an oversized advertisement for Hawaiian Frost, the frozen dairy treat (yum) and another contains shelving of kitschy Hawaiian merchandise. 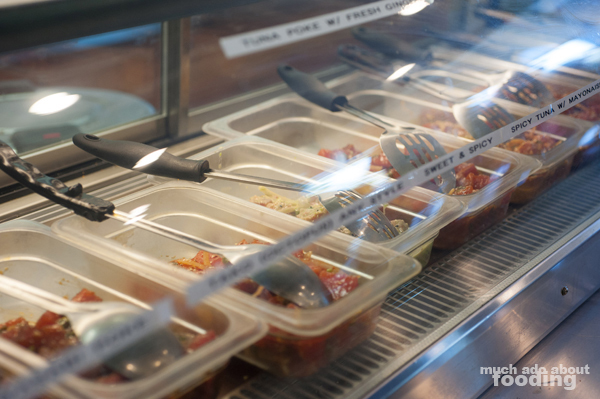 The poke is freshly prepared every morning (and as they run); trays of it are displayed deli-style behind glass with labels on the outside. Don't mind the presentation. It's what's inside that matters, and they are not hesitant to give you a sample of the kinds you're interested in. Considering that the poke sells for $13.50/lb, you could end up with more than a few cents of samples before you make your decision. 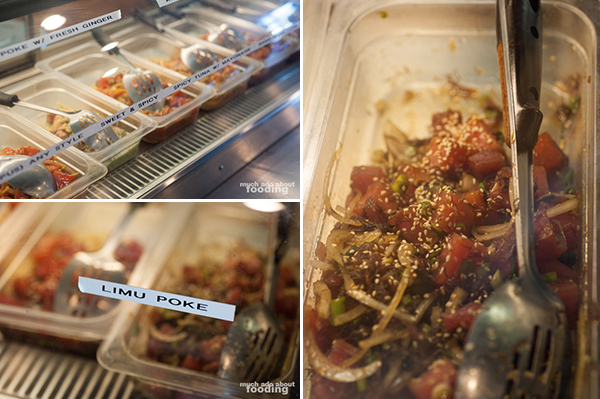 Now let's just say that I had a craving for limu poke. Okay, maybe a bit more than just a small craving. The crunchy seaweed style of poke instantly became my favorite the first time I tried it in Hawaii, and I was looking forward to giving it a try here. One look at the sesame seed-ridden, onion-laden goodness and I was ready for a lot of it. I opted for the Island Bowl ($7.50 - ahi tuna, soy glazed limu, onion, tobiko, and white rice) with an extra side of Mac Salad ($1) and 1/4 lb of Spicy Ahi Tuna Poke ($3.00 with purchase of $6.95+). The serving of poke was quite generous; I had originally expected to need an extra 1/4 lb of it on the side but that ended up being excess. 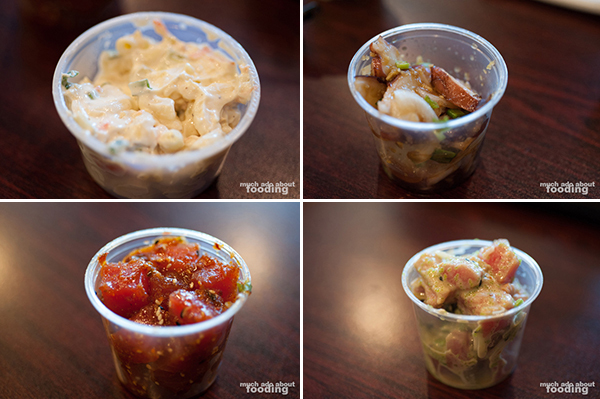 The fresh fish was tossed in just the right amount of seasoning, and the limu poke came a bit spicy. The mac salad itself was somewhat plain but for $1, you can satisfy a craving. The spicy ahi tuna poke was a close second place favorite because it kicked you just hard enough to let you know it's there. Loved the use of chili water in that way! My friends also tried their Tako Poke which was so so and the Wasabi Poke which was light and delicious with appealing pops from the green tobiko mixed in. 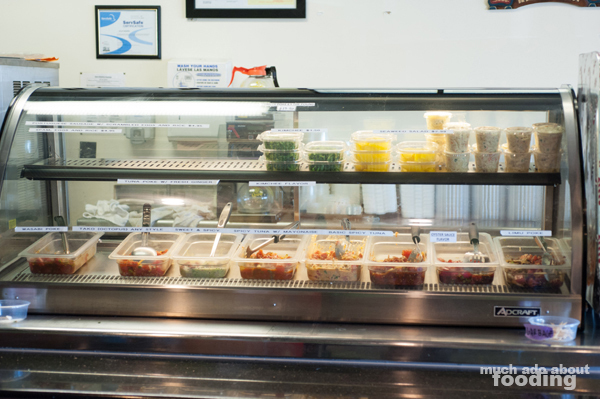 If you want to do your own, grab a Signature Poke Bowl $7.50 which tops off steamed rice with your choice of poke. I do recommend eating it quickly though because the rice can turn your fish warm. If poke is not your thing, there were other items on their menu that my friends snagged as well. One checked out the Ohana Plate ($10.95 - Kalua pork, shoyu chicken, and choice of poke) which was also generous in size. I didn't get to taste the pork but the chicken was spot-on. Another friend ordered their Island Bento ($10.95 - teriyaki chicken, tonkatsu, and choice of poke) which came with much too much of everything. Surely these specials can be split between two people! 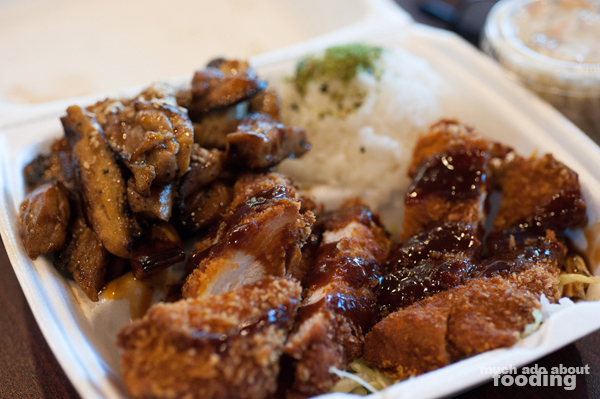 The teriyaki chicken was a tad salty but the crunchy tonkatsu helped balance that out when eaten together. None of the plates were overly greasy as some other Hawaiian restaurants in the area tend to be. 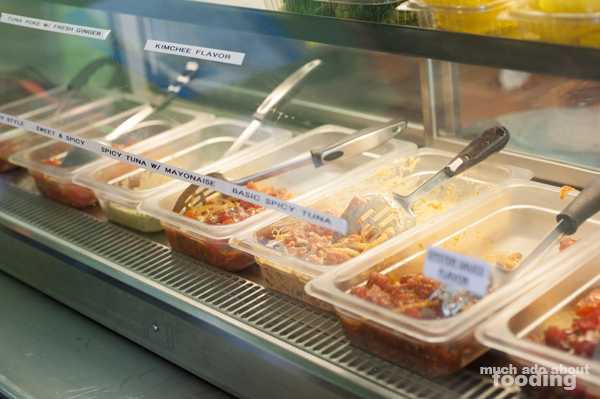 Next time we go, we'll have to check out their other dishes and maybe even choose different poke. They have so many varieties including Shoyu Oyster Sauce, Ginger, Oka, and even Kimchi.